How practical are Amazon Smart locks that are voice-controlled locks when placed in your own home? Voice-controlled locks have become more popular over the past years. These products are highly sought after along with home-access control devices, CCTV cameras and so much more that can make homes and establishments more protected from intruders. A lot of people are away from their homes most of the time because they are busy with different things. There are some who live alone or the times that they are out of the house are all the same. Intruders have the chance to go to the house and start getting valuable items from the house. Since people need a more secure way in order to keep their homes and establishments safe, they get voice controlled locks. Voice-controlled locks can be installed at home with the help of professionals, the residential locksmith. Finding the right locksmith Austin can be hard if you do not know what to look for. You can check out what we can offer by clicking on this link: www.bobcatlocksmith.com. Get to know what our services are and how we can help you. We will be more than willing to answer your questions and inquiries about what we can provide. Are you wondering whether you need this too? What are the advantages you can expect to get when you hire a residential locksmith to install this type of lock at home? This can work with your smartphone device. A lot of people own smartphones right now. The smartphone can be integrated with the voice-control lock so that you can control when you need to lock or unlock your home. Remember that you need to download the right application in order to make this work for you. Just imagine this scenario, you are going on a road trip and it would take almost a whole day or perhaps even more to reach your destination. What if you remember in the middle of the trip that you did not lock the front door? Instead of going back home just to lock the door, you can use your smartphone to control the lock. You can control the people that you will be giving access to. There are some people that you would allow to enter your home anytime especially if they also live there. You can control the amount of people who will know your code in case you are absent from the situation. Some voice-controlled locks have the feature wherein different people will be given different access codes. The lock will only open with your command. The lock would need to comprehend that it is your voice that is trying to unlock it. If someone else who is not authorized tries to do it, the lock will continue locking and protecting your home. Voice controlled locks are also more high-tech than traditional locks so you can expect that it will be harder for robbers to try getting rid of the locks of your home. The things that are mentioned above have highlighted all of the good points of having voice-controlled Amazon smart locks for your home but not all things are perfect. There are still some challenges that you have to know about this type of lock. There are some voice-controlledAmazon smart locks that you can connect with other smart gadgets inside your home. Some of these gadgets may change the way that your lock is used. When this happens, your home may not be as secure as you have hoped. You cannot expect that technology will work 100% all the time. There are moments when the lock would not recognize your voice when you try to lock or unlock it. There are also moments when it would unlock on its own even when the person who talked is not someone that you have authorized to do some changes with the locks. A lot of people who have already experienced decide to go back to their usual method which is the traditional lock and key. There are moments when something that you have done for years is still that one method that you will trust more than the others. Voice – Controlled locks only work for certain types of locks. 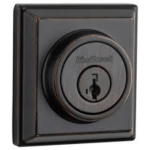 A lot of smart locks are only applicable to deadbolts. If you are using another type of lock, expect that you cannot use your voice controlled lock for that. Remember that this type of lock can only control one lock at a time. 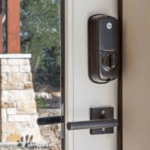 This explains why a smart lock is normally placed on your main door. One of the main concerns of people with this type of lock is its price. It can be very expensive given the fact that it may not always work. Still, a lot of millennials are drawn towards this type of lock because of their notion that everything high-tech and new are always better compared to the others. If you consider yourself more of a traditional buyer, you may still be happy with your traditional lock. You can just contact your residential locksmith to have the right lock installed at your own home. The locksmith Austin will solve all of your problems. When people hear about Alexa, they usually associate it to speakers. This is the command that they use whenever they want to do different things. They can search the internet, they can shop online and do so much more but actually, this can also be used to make your home more secure provided that it will work well. It can be fun to start using Alexa for the first time. You can just tell your wishes like to dim the lights of your home and it would proceed to do that request within seconds. It can be enough to make you feel giddy with excitement. Alexa is compatible with the different digital and voice-controlled locks that are offered by Amazon. The name Alexa can be traced back to history. Alexandria is the name of the library that supposedly holds a lot of knowledge about different information. Amazon definitely has this goal too. They would like to become one of those websites that people check whenever they need anything. Alexa is also chosen because of the X in its name. it is not common that you are going to say words that have the letter X on a daily basis. The second generation of Amazon Echo is very popular among people who have tried out the first one and liked it a lot. Some have purchased this version because of the good things they heard about from other people. 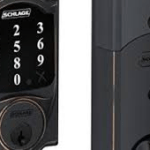 Whether you would install this on your own at home or you need a professional like a locksmith Austin to help you in connecting this to your own lock, you still need to know what it can offer. What makes the echo stand out from all of the other voice-powered Alexa speakers is its responsiveness. Expect that this is going to reply or respond within seconds. This is different from other speakers that will take time before you get any response. When searching for this brand’s smart lock, look for the 2nd generation as this may have some features that will be more useful in protecting your own home. It also helps that this can work with Alexa too. This Amazon smart lock can also be your key to opening your home’s door. There is no need to distribute spare keys to people that you trust to enter your home. You can control everything with the help of the different devices you use. Take note that this is also compatible with other voice-controlled mechanisms. One of the reasons why a lot of people are drawn towards thisAmazon smart lock is because it comes in different colors. There are some colors that are more appealing than others. It will be easy to find one that will fit your home’s design and will also help protect your home at the same time. While this works with Amazon Alexa for voice control, it is not capable of unlocking your door’s main door at present time. This may not be the best choice if you are searching for one that will truly be useful. If you are fond of the way that a traditional deadbolt lock looks like, you will not be disappointed with this lock. This is guaranteed to look like the one that you are used to. The only difference is that this is a smart lock and you can easily use Amazon Alexa to control it. 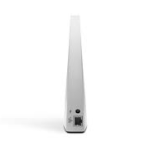 You can also connect this to the other devices that you have at home. Some also use this in order to send and receive messages. With all of the different things you can get from it, this Amazon smart lock may be your best choice. 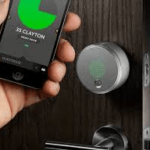 The search for the right smart lock especially a voice-controlled lock that can be installed by a residential locksmith can be daunting but as long as you know what you are looking for, the search will not be as complicated as you have thought. This Amazon smart lock is an improvement from the first version. This is now more secure, safer and more reliable than ever. You just need to download the application and expect to take total control. The moment that you see this lock, you may like it as lot based on its appearance alone. It will be enough to seek for locksmith Austin because this Amazon smart lock just looks great. It can offer so much more than its appearance though. You can use this to protect your home from intruders. This will allow you to lock and unlock your doors without the need to use keys. You have learned so much about the different locks that can work well with Alexa. You have also learned a few details about Alexa. You may choose to share your newfound knowledge with the people that you meet especially if they are interested in what you have to say. Always remember the pros and cons that you have learned about voice-controlled locks. If you are determined, contact your Locksmith Austin now.